These bright and cheerful earrings are elegant and light weight, because they are mouthblown, hollow. The shape is like a coin, a round flattened. The ear wires are Italian sterling silver in a teardrop shape. 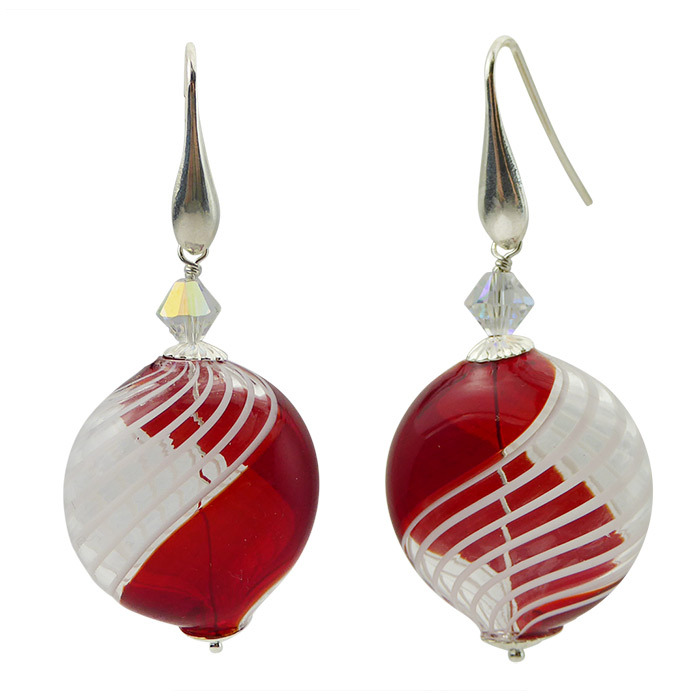 Our bead are authentic mouth blown Murano Glass featuring White Filigrana and Transparent Red Murano Glass and the earrings are designed and assembled in our studio in the US.